ABC Fire Equipment has been servicing the fire equipment and service needs of Cape Coral for over 30 years. We are experienced, and we offer a wide range of products and services to meet any customers needs. 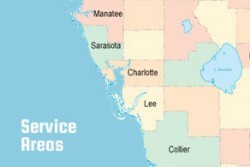 If you are located in Cape Coral and have any questions about an existing fire system, or a new system, we are here to help.